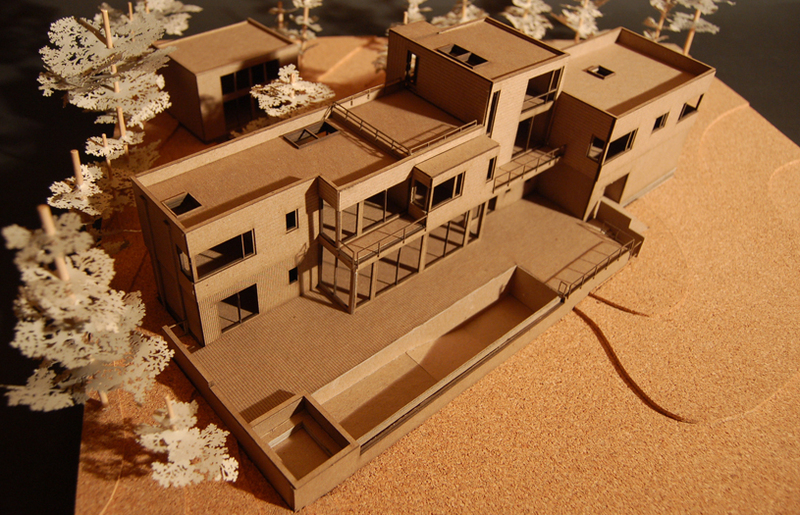 We were asked to design a new house that reflected our clients modern, modest values. Light, views, privacy, and site restrictions drove the form of this building. The first floor features a large kitchen, dining, and living area with two walls of floor to ceiling glass facing the ocean and to private courtyard. Transparency was key. Views of the ocean can be seen from the courtyard through the living room of the main house. 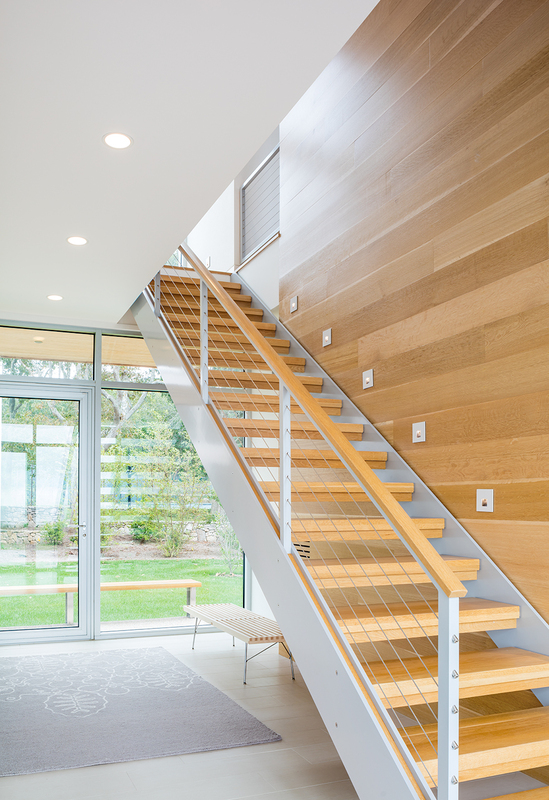 The cantilevered stair hall creates a covered entrance and a moment of rest as you ascend stairs. 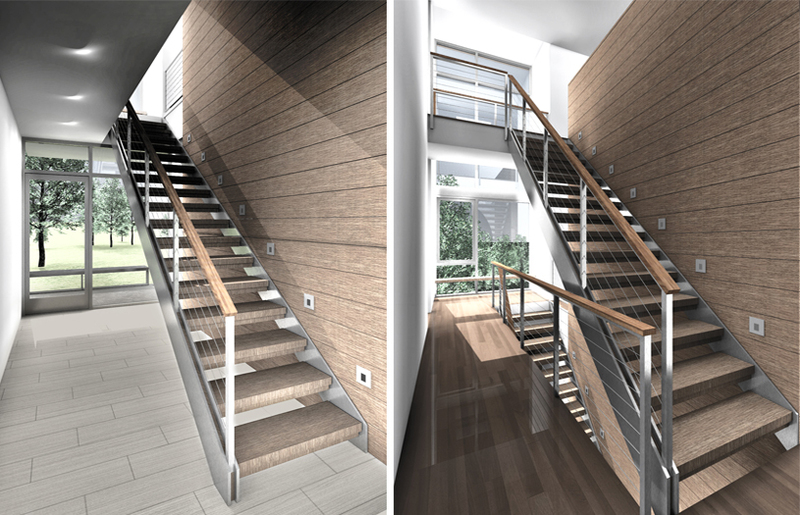 A continuous shiplap sided wall connects the first floor entry to the third floor loft. Tall, thin slot windows wash the walls with light and hint at the panoramic view above. Four west-facing bedrooms give expansive views of the ocean. The top floor is made up of a loft, two roof decks, solar panels, and a green roof. The negative edge pool set in a four foot high deck, avoids the need for a fenced enclosure.